Neurotrophic tyrosine receptor kinases (NTRK) can become abnormally fused to other genes resulting in growth signals that can lead to cancer in many organs of the human body. 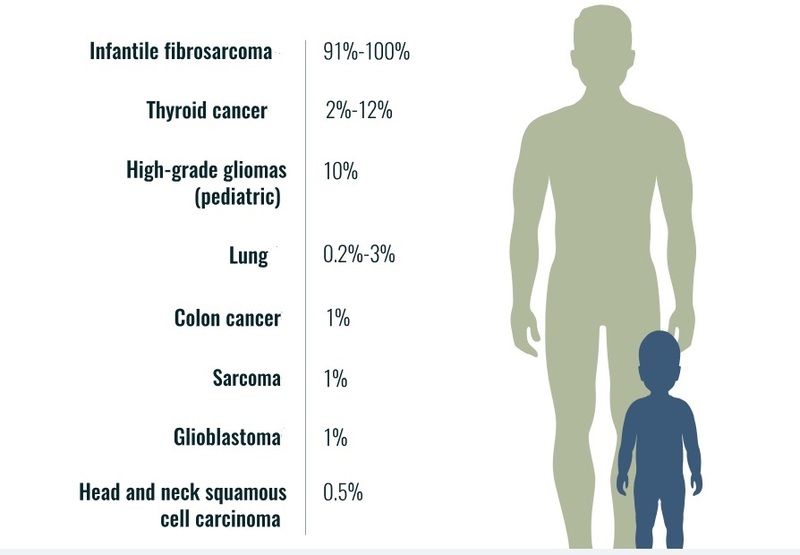 TRK gene fusion-based cancers are rare but present in pediatric and adult cancers such as lung, thyroid, colon, etc. (see, e.g., Figure 1).